Goodbye plastic, single-use straws, hello reusable alternatives. Eastern Standard Kitchen and Drinks, located in Kenmore Square, decided to switch to reusable plastic and metal straws after its management team found the restaurant wasted around 60,000 plastic straws annually, said Diego Alejandro Peña-Herrera, the bar manager at Eastern Standard. The reusable straw initiative is the first of several sustainable efforts Eastern Standard and its sister restaurants have implemented, Peña-Herrera said. 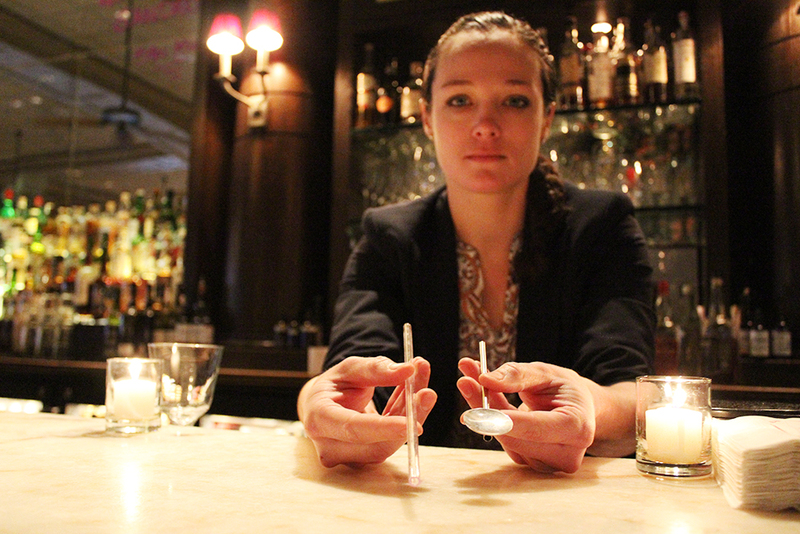 In recent years, Eastern Standard began composting its waste, and its sister establishments, The Hawthorne and Les Sablons, have been using reusable straws. The implementation of reusable alternatives to plastic straws is expected to limit the amount of waste produced by the restaurant while keeping costs the same, Peña-Herrera said. Andy Bean, the campaign coordinator at the Boston Climate Action Network, said eliminating plastic straws is a starting point in dismantling the culture of using disposable, plastic, unsustainable goods. Not only is it more sustainable to use reusable straws, Bean said, but the restaurant industry can benefit from investing in reusable straws because customers respect sustainable practices. Straws are also oftentimes unnecessary, said Bella Tanaka, a sophomore at Boston University who works as a hostess at Eastern Standard. Kevin Mitchell, 31, a Somerville resident and recent patron of Eastern Standard, said the reusable straw initiative would be an effective way to change the culture of wasteful behavior in America. The biggest concern patrons have about the reusable straws, Peña-Herrera said, is hygiene. To ensure the restaurant’s straws comply with its health and sanitation standards, he said, the bar management team extensively cleans the reusable straws by soaking them in a sanitation solution and then washing them twice in a dishwasher. “If they use the straw today, that straw probably won’t see another use until maybe the third or fourth day,” Peña-Herrera said. Restaurants that can’t afford to invest in reusable straws could follow Eastern Standard’s lead by using paper straws, said Michael Keenan, an Eastern Standard customer and general restaurant manager at Article 24. For meaningful change, Peña-Herrera said, Eastern Standard’s move to reusable straws needs to be the beginning of a widespread movement toward sustainability among larger corporations in particular.